The United States government erroneously granted citizenship to 858 immigrants from countries that are currently being monitored amid concerns that they may pose a threat to national security. Some of the immigrants are from countries that have high incidences of immigration fraud, an internal Department of Homeland Security audit released last Monday, September 19, showed. Inspector General John Roth’s auditors said the individuals came from “special interest countries,” but he did not release the immigrants’ individual names. The report also did not mention which countries were involved. Fingerprint scans for as many as 315,000 immigrants, who either have final deportation orders or are criminal fugitives, are missing from federal databases. Apparently, the Immigration and Customs Enforcement has yet to review around 148,000 of said immigrants’ files to add their fingerprints to the digital record. Contact the Law Office of William Jang, PLLC in Austin today so we can discuss your immigration situation. Our qualified legal professionals want to find out how we can be of specific help to you. Take charge of your life today and find our more by calling us at (512) 323-2333. The past few years have seen heated debates about Secure Communities between the Austin City Council in Texas, and Travis County Sheriff Greg Hamilton, who will not run in this year’s elections. Travis County Jail signed on to share fingerprint information of people they had arrested or detained to the Federal Bureau of Investigations and Immigration and Customs Enforcement via a program called Secure Communities (S-Comm) in January 2009. What happens in the program is that the fingerprint information will be forwarded to the FBI, and then the FBI sends the information to ICE to determine if the person in question has an immigration history. Should that person have immigration history, ICE will issue a detainer on the individual so that they cannot leave police custody until after ICE has handled the inmate. Austin Chief of Police Art Acevedo had voiced his sentiments against S-Comm earlier. Our lawyers at Law Office of William Jang, PLLC in Austin understand how important the whole process of immigration is to you, who want to live freely and peacefully in the United States. That being the case, we will guide you and promise to assist you throughout your application so that we can hopefully get results that are to your liking. Call our offices today at (512) 323-2333 to speak with a qualified member of our legal team today. Businessman and Republican Party presidential nominee, Donald Trump, announced in a Twitter post last Sunday, August 28 that he will give a detailed immigration plan on Wednesday, August 31 in Arizona. Trump and the Democratic nominee, Hillary Clinton, traded barbs last week, with Trump calling Clinton a “bigot” and Clinton accusing Trump of enabling hate groups to flourish in the Republican party. During the last week of August, Clinton will focus her attention on mental health, spreading the message that there is a need for it to be incorporated into the United States health care system. Meanwhile, it is expected that Trump will continue talking about approaches to immigration issues, which will be spearheaded by his running mate, former Governor of Indiana Mike Pence. Immigrating to the United States is in and of itself difficult. However, there are some circumstances that might make applying for a visa and processing one’s immigration papers even harder than usual. Thankfully, there are several legal immigration options to choose from to accomplish this goal. With the help of the Law Office of William Jang, PLLC in Austin, we can make progress towards getting your visa, green card, or citizenship approved. Call our offices today at (512) 323-2333 to discuss your situation. Vincent Simon, a United States military veteran who converted to Islam five years ago, and Mujeeb Kazi, who relocated from Pakistan to the U.S. around ten years ago, have expressed fear about a voicemail left with their mosque, Masjid Al Sahaabah, located in Fort Worth, Texas. The voicemail contained a death threat, which Simon described as a “long, angry message with a definite ‘I’m going to cut your heads off’ kind of thing'”. The caller addresses each of the mosque’s members, claiming to be “armed to the teeth” and willing to cut off each of their heads. Kazi said the anti-Muslim rhetoric used by many politicians, particularly current Republican nominee Donald Trump, gives license to people to be openly hostile and threatening toward Muslim Americans. Many fear the implications of a Trump presidency on the safety of Muslim Americans, but Kazi emphasizes that the damage Trump has caused did not require he win the election. The Islamophobic sentiments that underlie much of his speeches have incited violence against Muslim Americans across the country. The immigration process in the U.S. can be daunting. Contact our qualified legal professionals at Law Office of William Jang, PLLC at (512) 323-2333 to discuss the details of your immigration situation. United States immigration officials already conduct vetting on potential immigrants to the country and consent to background checks. Visa applicants must answer questions regarding terrorist activity and whether they have participated in or plan to participate in terrorist attacks. There is also a question that covers whether they have participated in activity that includes “limiting or denying any person’s ability to exercise religious beliefs”. Coming to a new country can result in a wide array of difficult challenges, one of which is the rejection of your immigration application. Hire the team at the Law Office of William Jang, PLLC to help you make it through the intricacies of applying for immigration to the United States by calling our Austin offices today at (512) 323-2333. In a new research study conducted by the University of Georgia in Athens Department of Political Science assistant professor Jamie Monogan, which analyzed Texas and California’s 1994 gubernatorial election as case studies, Monogan found out that there are negative long-term effects of a party’s anti-immigration platforms on their electoral chances. In this years’ presidential election, the Democrats tout a more inclusive position regarding this issue while the Republican Party reiterate the security issues of entrusting the inflow of non-natives into the country. The 1994 gubernatorial elections in Texas and California divided the Republican Party from the growing Hispanic population, which Republican George Walker Bush tried to assuage by campaigning for pro-Hispanic policies and speaking a little Spanish. In California, Republican Peter Barton “Pete” Wilson mobilized millions of undocumented immigrants to win by a margin of over 14 percentage points. Today, this kind of influence can be replicated, as immigration is expected to drive population growth in the United States over the coming years, Monogan said. People who come to the United States with the purpose of making it their new home sometimes come across serious challenges to this goal that may make it hard for them to immigrate to the country. 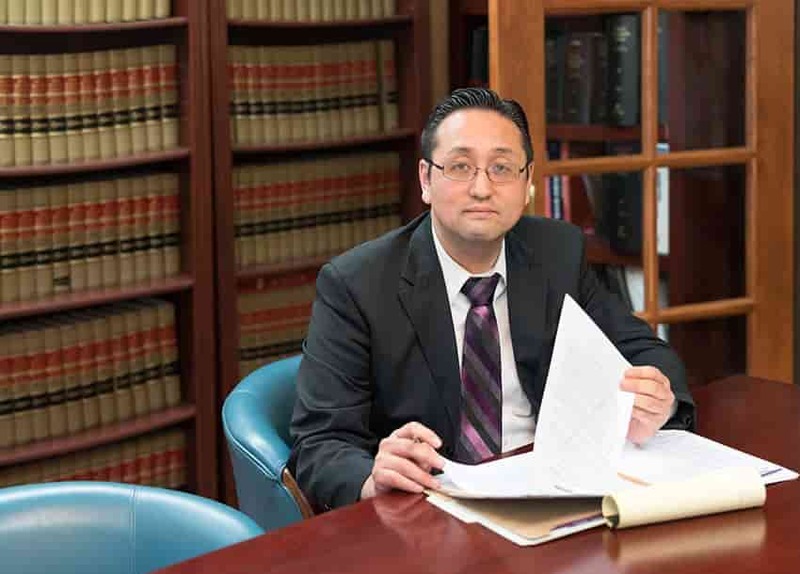 This is why the legal help of a competent immigration attorney such as ours at Law Office of William Jang, PLLC is an important part of undergoing this venture. Call our Austin offices today at (512) 323-2333. President Obama’s administration is making efforts to enable children and parents of Central American families to immigrate to the United States as refugees. White House Deputy Homeland Security Adviser Amy Pope said last Tuesday, July 26 that the Obama administration is planning the expansion of in-country refugee processing for families coming from El Salvador, Guatemala, and Honduras. The government is also expanding an almost two-year-old program to enable Central American children to reunite with their parents who are already living with documentation in the United States. Since the start of the budget year in October 2015, over 51,100 individuals traveling as families and over 43,000 children with no companions were caught illegally crossing the Mexican border. The number of immigrants has risen this year after significant dips between the 2014 and 2015 budget years. The help of our qualified immigration lawyers at the Law Office of William Jang, PLLC in Austin can guide you through the complex and complicated process of immigrating to the United States. If you or your loved one need help dealing with the issues that immigration is presenting you, call our offices today at (512) 323-2333.